Have you suffered a broken jaw in an accident that was not your fault? If you can prove that the accident was caused by the negligence of another party, then you could make a broken jaw claim for compensation. We are Legal Expert, we are a trusted Legal Advisor, who work with some of the top personal injury solicitors in the country, some of which have over 30 years experience of helping victims of broken jaw accidents claim compensation. Call us today to speak to one of our friendly advisors about your case. We can determine whether or not you have a legitimate case to claim broken jaw compensation, how much money your broken jaw settlement could be worth and we can match you to the right solicitor to win your case, at no extra cost to you. Call us today on 0800 073 8804 to begin your broken jaw claim. In this case study, we are going to look at the case of Miss J, whose name we have abbreviated to protect her privacy. At the time that she was awarded compensation, she was 20 years old and was studying at university. Miss J’s broken jaw accident happened nearly a decade earlier when she was just 11 years old. The accident happened when Miss J was a passenger in the backseat of a car, which collided with another car whilst travelling at speed. Although Miss J was wearing a seat belt, her head, neck, and shoulder were jolted forward, and her jaw was damaged upon impact, causing her severe pain. How Common Are Road Traffic Accidents In The UK? 2016 there were 181,384 casualties in the UK, due to road traffic accidents. 24,101 of these were serious accidents. There are a total of 1,792 road traffic accidents were fatal, this represents a 4% increase, vs. 2015 and makes 2016 the worst year for road traffic accident deaths since 2011. What Injuries did the Claimant Sustain? At the time of impact, Miss K badly dislocated her jaw. 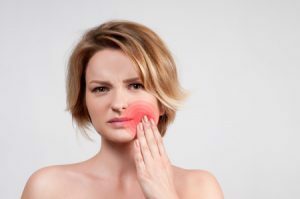 These symptoms worsened after the accident, leaving her unable to fully open her mouth, chew solid food, or in time the ability brush her teeth and wash herself. In time the condition deteriorated further, locking and swelling, causing Miss J considerable pain and disrupting everyday activities such as talking, sleeping and eating. As well as physical injuries Miss J also suffered psychological damage, falling into deep depression when her symptoms worsened, which impacted her quality of life. What’s more, her secondary school education as she constantly missed, or had to leave school when her symptoms caused her too much pain. What broken jaw treatment did Miss J have to undergo for her injuries? At first Miss J received treatment that would only provide temporary relief, which was regular and intrusive. After multiple scans, her doctors decided the best option Miss K would be joint replacement surgery. This broken jaw treatment, unfortunately, is not a permanent cure for a broken jaw. Consultants advised that Miss J would need a replacement procedure within 20 years of the initial procedure and then another replacement procedure every 25 years after that. Unfortunately, with every operation, her condition would worsen and she still requires the same regular broken jaw treatment that she was currently undergoing. Miss J’s legal team came to a broken jaw settlement with the Defendant out of court. The figure Miss J received in broken jaw compensation was £150,000 in damages. This included £28,000 awarded for general damages and a further £62,000 awarded in special damages to cover future medical expenses. If you wish to sue for broken jaw compensation, or claim damages for an accident where you experienced a dislocated jaw, or other jaw injury, but you don’t want the stress of paying an upfront solicitor’s fee then Legal Expert can help you. We can match you to a solicitor that offers a Conditional Fee Arrangement (CFA), also known as a no win no fee arrangement. No win no fee solicitors allow you to only pay your fees, if your broken jaw claim is successful, taking the financial risk out of your compensation claim process. Make a no win no fee broken jaw claim. Call Legal Expert today and we can match you to a personal injury solicitor to handle your case. If you would like to make a broken jaw compensation claim, call Legal Expert today for your free legal consultation. We can determine whether or not you have a valid case for compensation, advise you on how much your broken jaw settlement could be worth and we can match you to a personal injury lawyer with the right expertise to manage your case. Some of our solicitors have over 30 years of experience helping Claimants claim the compensation that they’re entitled to, so you’ll be in good hands. Call Legal Expert today, on 0800 073 8804 or email us at info@legalexpert.co.uk to begin your claim. Our friendly advisors are looking forward to receiving your call. How Much Compensation For A Fractured Or Broken Bone? Help and advice for claimants involved in an accident which left them with a fractured or broken bone. Advice for claiming compensation for fractured bone injuries, or broken bone injuries. How Much Compensation Could I Claim For A Car Accident? Help and advice for claimants who have been injured in car or road traffic accidents. This includes advice for claiming compensation for road traffic accidents. Advice and guidance on what to do if you haev broken a bone from the UK’s NHS.